Thanks to the prominence μ’s has gained in winning Love Live, we have been offered an exciting opportunity to expand our horizons. Please continue to support us! 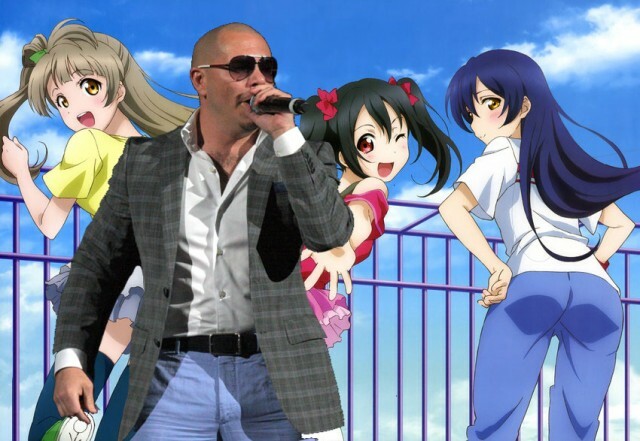 Pitbull and RCA Records reportedly approached the idol group after witnessing their performance of “KiRA-KiRa Sensation!” in the final round of Love Live. According to rumors, the music video will feature guest appearances from T-Pain and Flo Rida. Besides singing the auto-tuned chorus, the various girls are expected to contribute background vocals and shout “Pitbull” while the hip-hop sensation raps, though sources have not ruled out a guest verse from Sonoda Umi.